This three-mission campaign PDF is great for beginners, as it guides the Gamemaster through the core rules as they play, and introduces them to all aspects of the game, including basic Tasks and Challenges, as well as Social Conflict, Combat, and Starship Combat. Please note: this three mission collection was originally offered as a pre-order bonus for Modiphius customers who pre-ordered the physical Star Trek core rulebook between June – October in 2017 and is now being made available for sale for other Star Trek Adventures fans. This campaign will also be released in the Star Trek Adventures starter set. This is an absolutely great product. 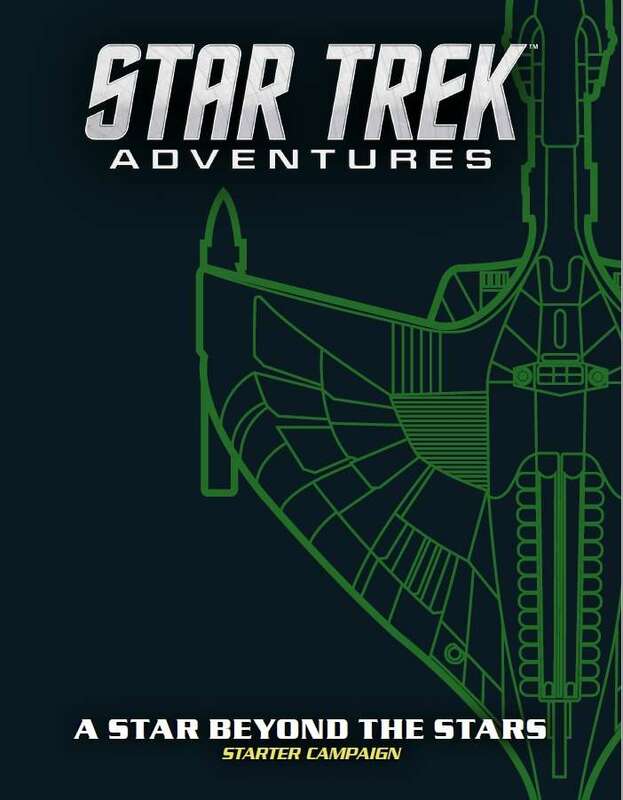 The missions are explained and laid out in a logical manner, as any star trek publication should, as my experience with adventures from other companies like Paizo have information spread out in the book, while everything you need in this book is right where you need it. My only gripe with this as a stand-alone product is that the maps it uses are not included, with them being included in the Starter Set which is not available for sale as of this comment. This has led me to resort to making my own substitute maps for the Campaign I'm starting next week, which is a shame. Maps not included: Jungle Ruins, Cave Prison Cells & Gateway Room. The other maps used in this module are the Federation Map Pack and Klingon Map Pack which are available for sale.